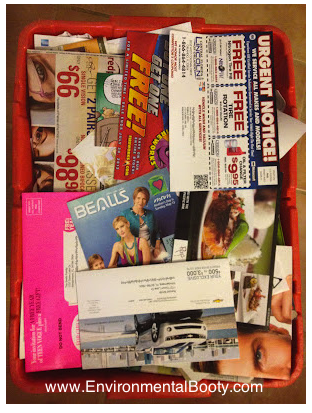 Did you know hat it is estimated that you receive 41 pounds of junk mail each year? Are you are ready to go green and reduce the huge amount of junk mail you receive? There are some great, green services out there to help you out, but if you are on a budget, or are ready to take on the challenge yourself, here are 3 easy tips to help you go green and reduce your junk mail. Protect Your Address Like You Protect Your Phone Number - do not give your address out to a business unless it is absolutely necessary and ask your phone company to leave your address out of your listing. When you find that you have to share your address with a business, request in writing that the company not sell, rent or otherwise share your address. Avoid Sending in Product Warranty Cards - if you read the fine print, most likely they are unnecessary anyway. If you must send on in, be sire to write, "Do not sell, rent or sell my information" on the card. When Donating Money to a Charity, Request that They Do Not Share Your Information. If you take me up on these 3 easy tips, you will see a reduction in your junk mail, reduce the amount of trash you send to the landfill and start heading toward a greener lifestyle for all.